From its western entrance, Pasadena’s Colorado Street Bridge billows gently to the left 150 feet above the Arroyo Seco. Completed in 1913, the nation’s first curvilinear bridge earned that distinction almost by happenstance. Engineer J.A.L. Waddell intended the viaduct to be straight but curved it to ensure its piers sat on solid ground; nine great arches enhance the effect. On both sides of the deck a low Beaux Arts balustrade, topped with a wrought-iron fence, edges past ten alcoves, each furnished with bouquet like lampposts flanking a bench. In that way, the span has from almost the moment it opened embodied both the depths of human despair and the heights of human inspiration. It is known as “Suicide Bridge”—the place where more than a hundred people have leaped to their deaths—yet it is also the inspiration behind countless paintings and photographs. That the bridge is still not jump-proof has more than a little to do with its intense beauty. Waddell’s creation has survived several bids to raze it over the past century, landing a spot on the National Register of Historic Places in 1981. Last year Maloyan assembled a Colorado Street Bridge Task Force and convened community meetings to look at permanent options to end the jumping: planting trees below, posting numbers for crisis text lines, adding netting. Netting was also proposed when deaths spiked during the Great Depression, and it’s being installed on the Golden Gate Bridge (at a cost of $200 million). But as far as the Pasadena span goes, “It would have a tremendous environmental and historical impact, and it doesn’t prevent people from jumping,” says Maloyan. The same could be said for chain-link. In the 1930s chain-link fencing topped with barbed wire went up. The jumping continued, as it has today. When the bridge underwent seismic retrofitting after the 1989 Loma Prieta quake, the ineffective wrought-iron fence of today was installed. While no one can explain the recent uptick in deaths, Maloyan suspects news coverage and social media may be factors. 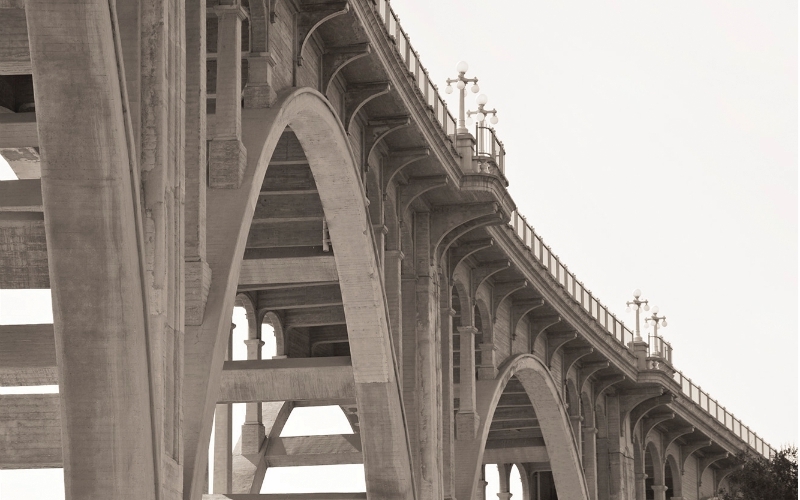 And he knows what he’s up against: His task force has studied bridges all over the globe; that includes San Pedro’s Vincent Thomas Bridge, where director Tony Scott scaled an 18-foot-high barrier in 2012 to jump to his death. A final plan for the Colorado Street Bridge won’t come for another year, but everyone seems to agree: The centerpiece will be a taller fence.